ntandy — Who is ntandy? Named after a distant relative, traitor, womanizer, drunkard and no less a failed Irish general, Napper Tandy has had a lot to live up to. And so he tries. Born in New York City, Napper’s childhood was split between a small apartment on the streets and a little house in the woods. An adrenaline junkie from the word go, Napper has spent his life escaping life’s stresses and his busy mind with the pure unadulterated exploits of recreation. You know when you’re recreating, when you stop worrying about everything else. 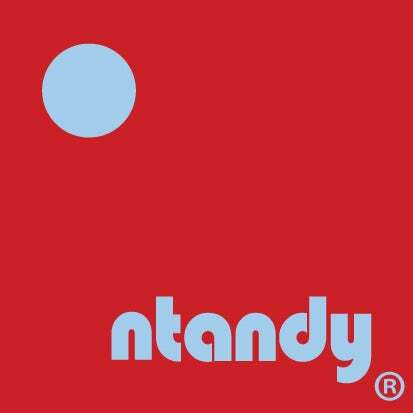 This essence of recreation and its simple virtues would become one of the foundations of ntandy clothing. Ten years ago Napper left Brooklyn in his beloved 1978 International Harvester Scout, and drove across the country to Southern California, in pursuit of a girl, now his wife. The transition from a born and raised New Yorker, to life in Los Angeles has been a long strange trip, but a love of Mountain Biking, Snowboarding, vintage cars and an introduction to the sport of surfing has helped ease the pain and turn a grin on his face into a permanent fixture. Looking to escape some of the stresses and pressure of being a writer and creative director in advertising, Napper, decided to focus some of his creative talents elsewhere. Increasingly disturbed by the ever growing presence and strangle hold of technology in not only gizmos, but in outrageously excessive and expensive outdoor clothing, Napper suddenly had an epiphany. He realized he had an unyielding urge to create some simple, highly-functional analog clothing that was well made - and easy to understand. ntandy is what happened. If you were to talk to Napper’s close friends they’d tell you ntandy is not only extension and representation of Napper, but of the times they’ve all spent together in the pursuit of the sweet nectar of recreation.